✅ Trip Verified | I have travelled to or through this airport at least once a month for the past four years for business. The airport facilities are poor and the vast majority are in need of refurbishment. The staff whilst friendly are almost ineffective. Most staff do not know are to handle simple inquiries and try to deflect you somewhere so they don't have to deal with you as a costumer/passenger. When staff do help it is followed by a request for money. The level of corruption is astounding. As a result of the poor level of service experienced here as a business traveller I am very reluctant to travel here as a tourist. I feel for those passenger who have to use this airport as part of their holiday, I really do. Not Verified | We go to the Masia Mara about two times per year, fly in and out with BA. Now we have had over 20 bad experiences at Nairobi terminal 1B. 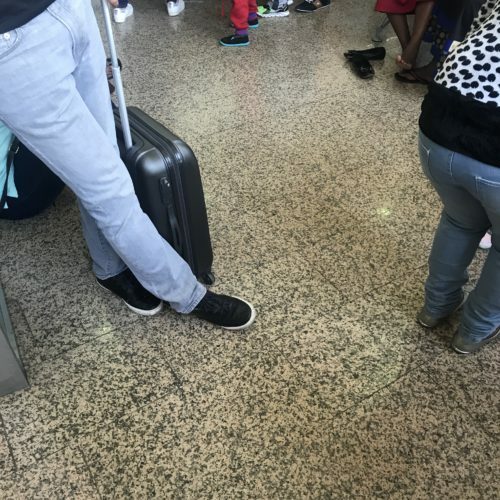 It is a truly dreadful experience, grotty terminal, pathetic shops, no eating areas, lounges if they exist are crowded and tatty and the security! Endless lines, 2 security scanners right next to each other, rude staff and then a waiting lounge at the gate that is the same if you are economy or first class (correction, there is a makeshift table with some alcohol for first or business class). It is as if the ground crew are briefed to make this a poor experience, I cannot understand any other reason. Of course, I think if you are travelling Air Kenya you are in the glossy new terminal and I suspect the experience differs. Strange that, could it be that someone is trying to make this experience bad to drive business to the national airline? Shame on Nairobi airport and your officials when Kenya and your people are so fantastic. ✅ Trip Verified | Terminal 1B. Lack of seating and very few opportunities to grab a bite to eat or a drink. Many shops but unfortunately most of them are duplicates so not really a great choice. Endless security. But the biggest problem was when I had two unopened bottles of water in my carry on for the flight. Bought in the airport with ServiceAir labels and seals intact. They were confiscated as they weren’t in a sealed duty free airport bag. Never encountered this before - you have been warned! ❎ Not Verified | Felt turned upside down and totally harrassed by security arrangements at departure gate. Extremely poorly organised. Shame on British Airways permitting their paying customers to be submitted to such a poorly organised and chaotic experience. There wasn't anyone from BA on hand to complain to either. "Worst airport I've ever been through"
❎ Not Verified | Worst airport I've ever been through. Shoved into a lounge too small for the number of plane passengers and deprived of basic amenities like water and toilets for over 2 hours. This is the 21st century for goodness sake! ❎ Not Verified | One of the worlds worst airports. Insufficient seating. The departure lounges are like a cattle farm with no rules and regulations. Passengers standing in lounges with no room. Absolutely a shame for a country once upin a time that had a great tourism industry. ✅ Verified Review | A really terrible airport. There are worst airports in terms of infrastructure and ambience such as Mogadishu or Erbil, but the rudeness of the staff take this to an all time low. Treated with indifference and when you ask a reasonable question dismissed out of hand. Please and Thank you are terms that should be used when making requests of travellers. Full of unimaginative "computer says no" types. I will fly Turkish Airlines next time so I don’t have to travel through Nairobi. ✅ Verified Review | Going back in time. As Kenya Airways flies the new generation Boeing 787-8 Dreamliner, having a transit stop for several hours breaks the mood. Old fashioned terminal, very high price-settings for a beer, yes one waiter asked me ZAR 150 (one hundred fifty Rand) for a beer on draught. Which I refused to pay of course. Lots of improvement can be done here, however lots of staff very welcoming and that compensates. "you would not want a long transit"
✅ Verified Review | Nairobi is not an airport where you would want a long transit time. Not a lot to do with a very small duty free shopping area and a few coffee shops. Relatively clean, but seating limited. Spent 5 hours here in transit between Tanzania and Bangkok. Free wifi at Java Coffee House near gate 14, but it is usually very busy there. I paid 500 shillings (about US$5) for unlimited airport wifi which was slow, but worked fine. Whilst the new terminal at Nairobi Airport is excellent for arrivals and departures on domestic carriers, the "old" international terminal is in desperate need of upgrade. We flew BA in and out. Inbound arrivals processing was a chaotic experience, with passengers herded into a wide and deep queue with no apparent order. We were fortunate to determine one could queue to any counter regardless of passport and managed to get out in under an hour. Departure was also poorly managed. Apparently, a private contractor, Swissport, manages security and some operations. 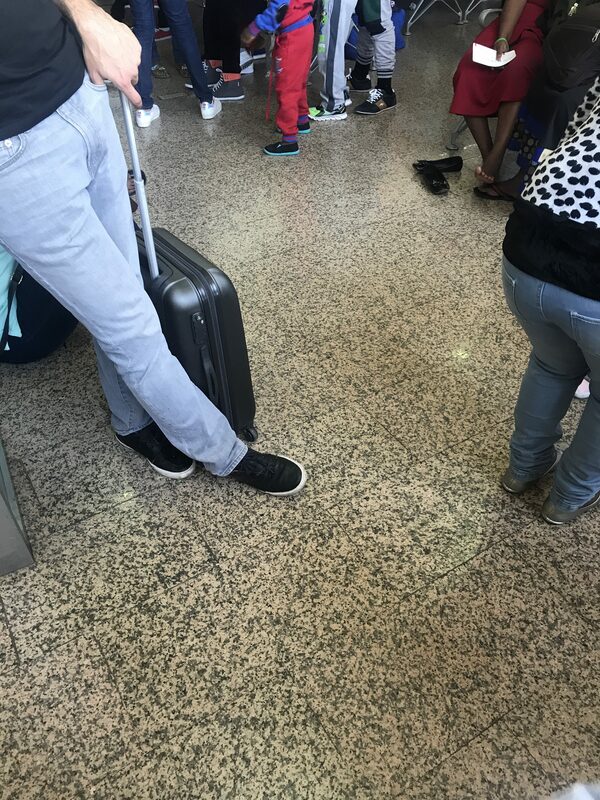 Departing passengers are required to display passports / boarding passes and X-ray carry on luggage no less than 5 times in completely uncoordinated fashion - shoes off / all electronics out immediately followed by another checkpoint with a different set of requirements. Swissport staff are surly and rigid, making no exceptions for medical needs. Also, no washrooms past the security gauntlet.